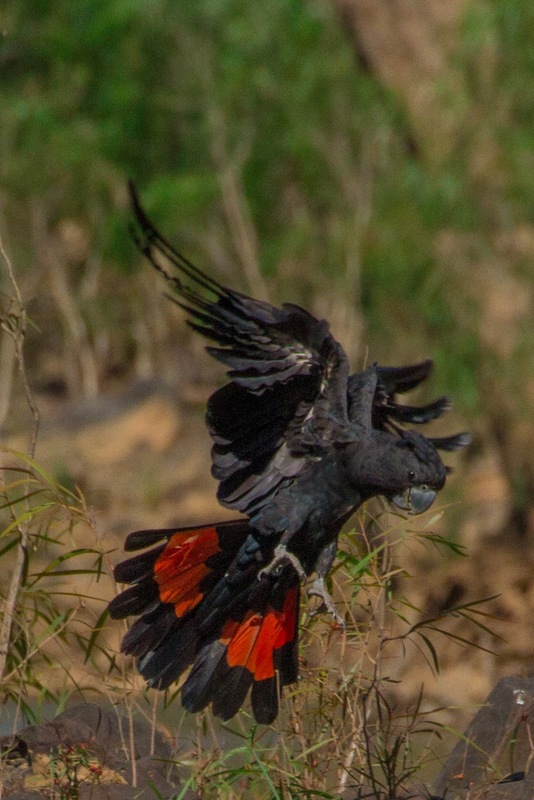 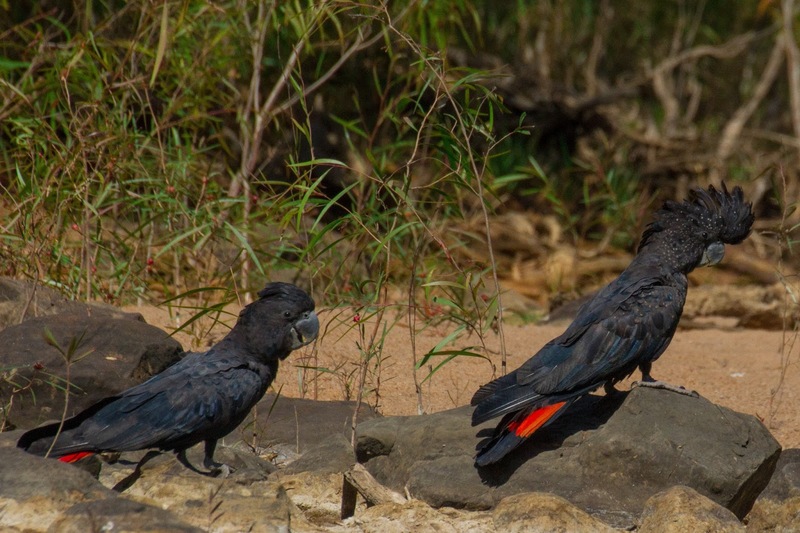 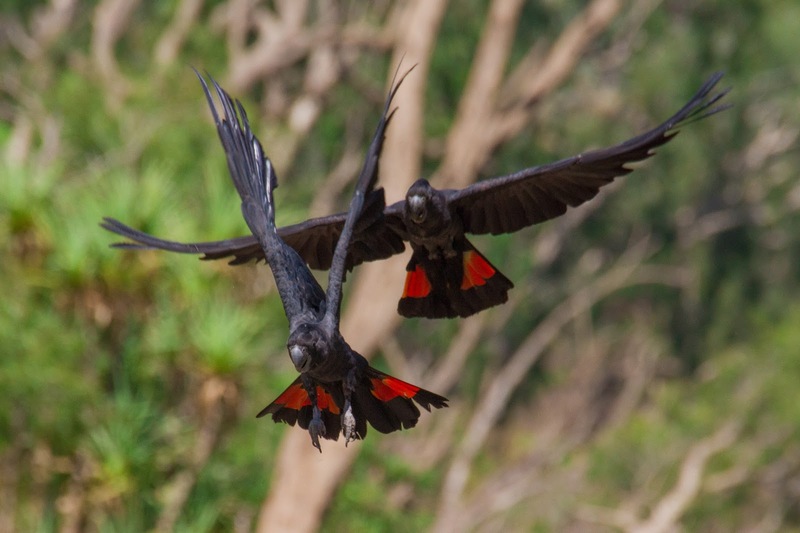 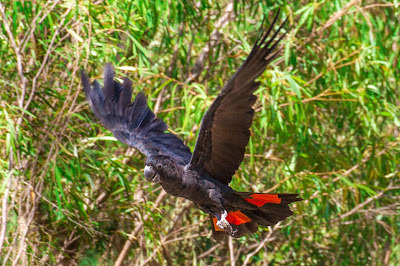 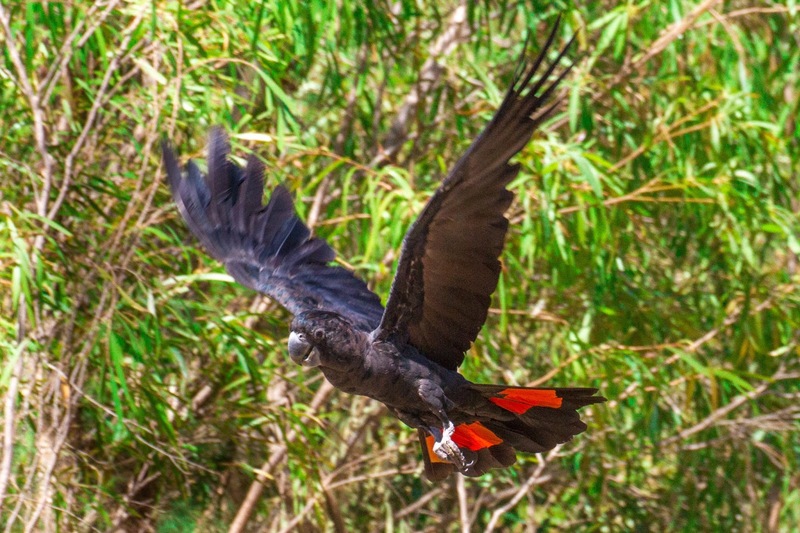 Late in the Dry Season, Red-tailed Black Cockatoos are often seen congregating at the King River Junction on the Katherine River. 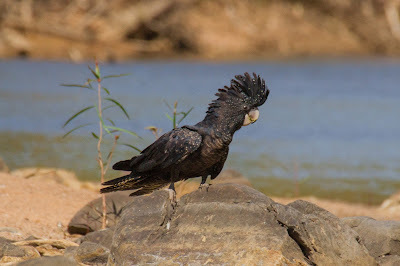 Easy access to water and She-oak seeds make this area a favourite spot. 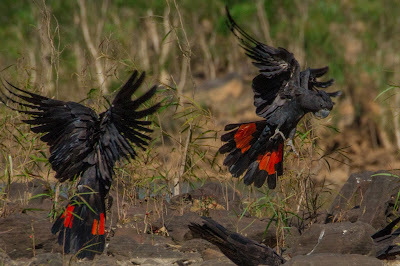 Flocks of hundreds can be observed for hours and great photo opportunities abound.